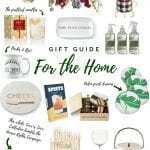 As I’ve mentioned, I have a bunch of more specific gift guides coming, but these first ones are meant to cover a lot of general ground. Whether it’s your Dad, Uncle, brother, significant other, or anyone else on your list. Hopefully, this guide helps you out! Even if your Dad or brother needs a tie, that gift can feel kind of lame on it’s own. Luckily, The Tie Bar has awesome gift boxes – full of ties, socks, and pocket squares. 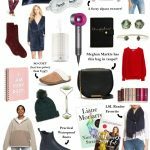 I also think scarves and gloves are underrated gifts. Would you boyfriend really buy himself a cashmere scarf? Probably not. Would he love it? Ummm YEAH! Same goes for nice sleek leather gloves, especially with touch screen finger tips! While we were hiking in Arizona last weekend, we kept talking about how we need to get my parents a Camelbak Hydration Pack. 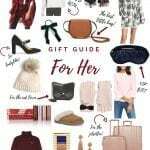 If you have someone on your list (male or female!) who loves to be active outdoors, this is a GREAT gift. It’s also great for your music festival loving boyfriend or brother, too! And since we’re talking about being active, wireless headphones are on SO many mens lists right now. They’re great for the gym, travel, and commuting on public transit if they live in a city! I’ll admit, I usually think sports-related gifts are kind of silly. But I found some GREAT options this year! First up, these blueprints of famous baseball stadiums. I don’t know about you, but I’d be happy hanging that anywhere in my apartment. But if you think they’d like something a little less subtle, you can’t go wrong with a jersey! If they live in Chicago, this is the perfect year to get him a Mitch Trubisky Bears jersey. Maybe throw a yeti cooler in there for tailgating, too! And one more idea! We got my Dad personalized golf balls for his birthday. 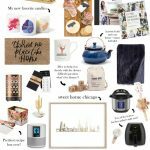 Definitely silly, but such a fun extra gift! Every whiskey lover should have a decanter and nice glasses. But if they already have those things, you can still have a ton of fun with gifts! I love these city map glasses, or these bike map glasses if he’s a cyclist! I also think these baseball chillers are a really fun alternative to the classic whiskey stones. Those + the Wrigley Field blueprint? Killer gift right there. 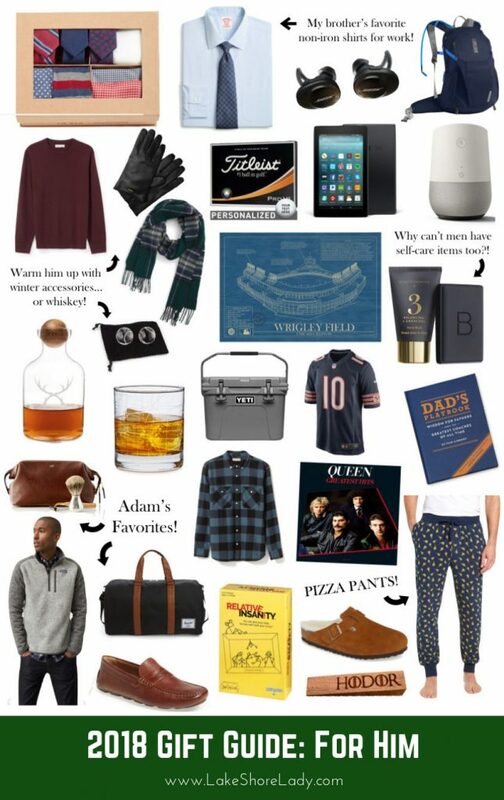 I know I include the Patagonia Better Sweater in every gift guide ever… but it’s always there for a reason. Adam wears his quarter zip or full zip versions literally every day. If your guy doesn’t already have one, this gift is a home run. Maybe throw in Adam’s favorite shoes if he needs an update, too! Adam is also a big fan of Herschel Supply Co. for travel bags. He brings their duffel bag and backpack on pretty much every weekend trip we go on. They are super durable and a great price point. He also never goes anywhere without his leather travel pouch – and you can monogram this one! PS. 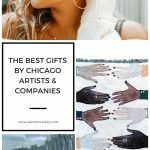 You might also like 2018 Gift Guide for Women, The Best Gifts by Chicago Artists/Companies, and The Best Winter Accessories. ps: this company sells a lot of blueprints for a variety of sports. I know the owner, who used to work in the music field…but even if I didn’t, I’d tell everybody to buy their prints!